In an accident remember all the details? Prove your innocence in doubt? 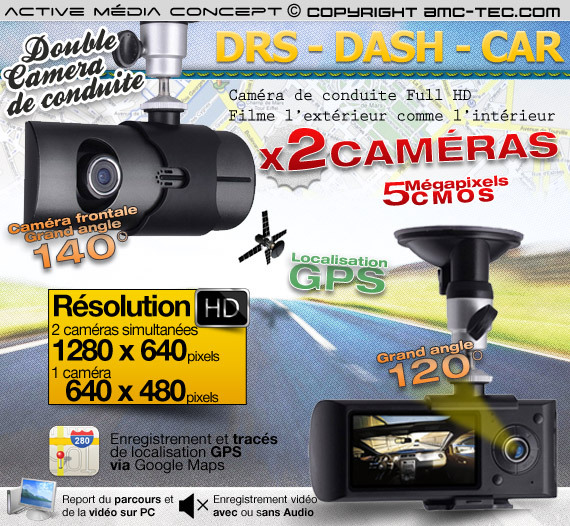 With our "Dash Board" with dual camera and GPS Car! Worry no more! Record every moment of driving during your trip. The device will record when you start your vehicle. New Generation recorder driving X2 camera with recording function and plot real-time GPS even more accurate. 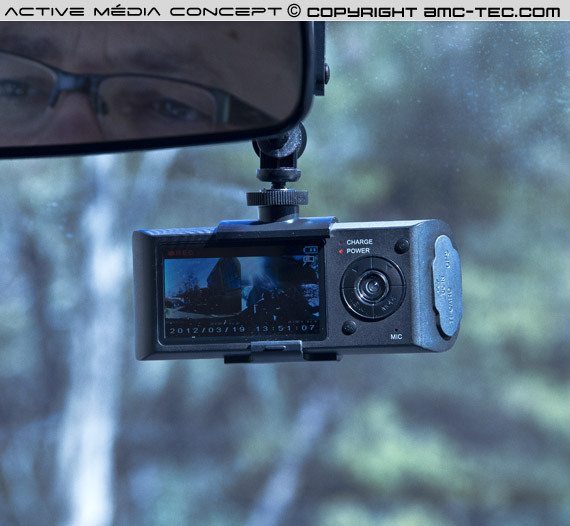 Put on your windshield, driving the camera lets you record front and interior of your vehicle. 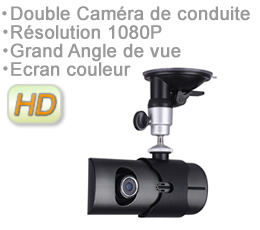 - The 1st HD movie camera to the front of the camera, it features a wide viewing angle of "140 °" that can be rotated upwards to 20 ° for better shooting. 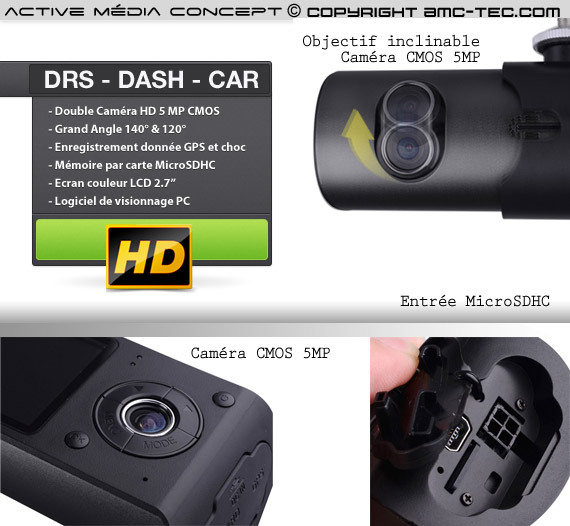 - The 2nd HD camera films from inside the vehicle, it features a wide viewing angle of "120" that enables simultaneously recording the cockpit and the rear of the vehicle. 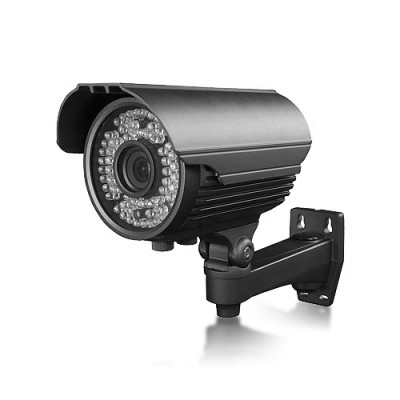 As with virtually all cameras driving, a GPS module is integrated which saves along with video and audio: GPS track mapping with Google Maps. 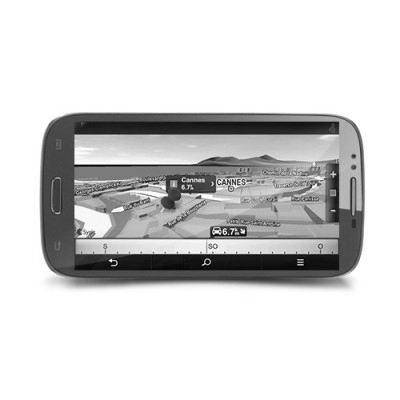 Accurate to 5 meters, then view your route and the GPS HD videos simultaneously on your computer. 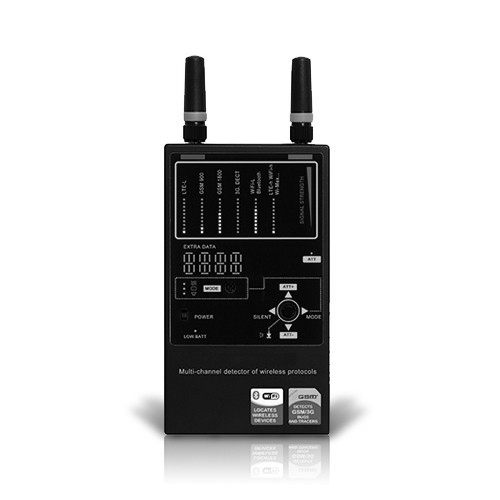 In addition, an accelerometer lets you capture all the shock and vibration perceived (3-axis) when recording audio video, each vibration will be transferred to a graphics software visible on the preview. 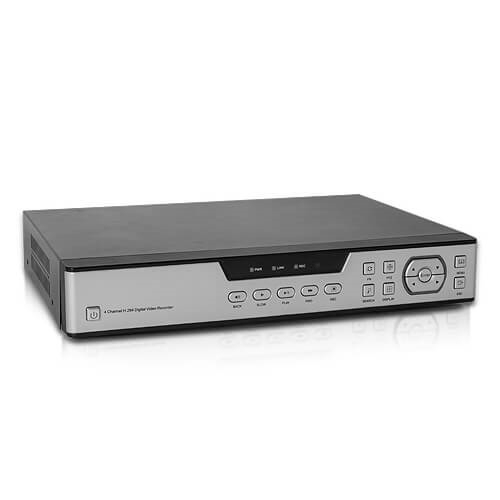 The audio recording quality is high definition video, with a recording resolution 1280 x 480 pixels at 30 frames per second with two simultaneous video recordings, or 640 x 480 pixels at 30 frames per second for a single camera. The records are in ". AVI" readable by all major video players. 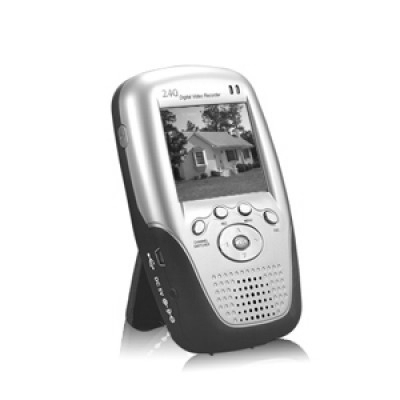 A color LCD 2.7 inch format "16:9" is built into the recorder of conduct, which allows you either to read the recorded video, to calibrate the angle of the cameras, access to settings. With this setup screen, your favorite settings easily. An internal battery will allow you to finish recording the current video and then shutting down correctly. Each video recording audio on a memory card Miro SDHC up to 32GB size is about 80 MB / minute in 2-activated cameras, audio, and GPS. 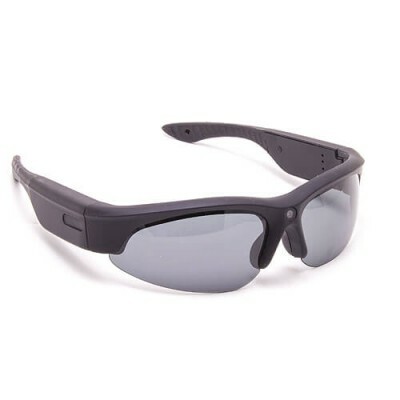 The videos can be viewed on the preview software provided, to review the time-stamped video recordings, along with the real time position and vibration and shock felt during the journey.